objective of maximizing revenue. The Channel Manager helps push these rates to all our channels. Innovative travel and hospitality technology solutions. RateTiger offers real-time monitoring and management of room rates, availability & restrictions across all your connected sales channels. Boost your hotel revenue with efficient rate and inventory management with our award winning hotel channel manager. RTConnect offers #1 hotel room distribution management software providing 2-way XML channel connectivity with multiple hotel technology systems. Manage your hotel room rates, inventory allocation and booking data centrally between multiple systems and distribution channels. The #1 Hospitality Operating System - LiveOS, provides hotels with a single sign-on platform to access multiple hospitality applications. Technology partners get access to various hotels allowing for greater distribution of promotional opportunities while improving customer retention. My experience with RateTiger has been nothing short of exceptional! We have been using RateTiger distribution solutions for the past few years, yet they surprise us by bringing in innovation, integrity, intelligence and technical expertise to our business operations. Milestones have been reached on time, the quality of the product is high, and support is the best in the industry. I cannot imagine running my daily operations without it. NH Hotels is a dynamic company that focuses on providing the best of hospitality while targeting for revenue growth in all markets. RateTiger is a great connectivity partner helping us to implement new channels to expand our visibility to new source markets. Their level of service and support is incredible as they continue to innovate and offer new enhancements to boost online revenue and profitability. RateTiger has always been an innovation driver in the technology segment of the lodging industry, as well as a great partner to Expedia. In 2017 we strengthened our relationship by providing our technology and marketing strengths to optimize, drive results and facilitate property needs. We’re excited to work alongside RateTiger in 2018. As a leader in Private Sales distribution, VeryChic tends to develop connectivity to update in real-time prices and stocks of our 200 daily hotels flash sales. eRevMax, one of the leaders in the channel management space, is the perfect partner to provide us with the opportunity to expand our reach and enable hotels and chains that complement our ethos to easily connect with VeryChic. This is also beneficial to our hotel suppliers to further reduce their time to update rates and availabilities while automating reservation delivery. Our interface with RateTiger will be beneficial for our partner hotels and tour operators to quickly and efficiently manage room rates, availability and restrictions. It’s a very useful tool with a wide hotel distribution network worldwide which would help us improve our inventories. RateTiger is more than just a channel manager. It’s a powerful tool for the ease of connectivity and making quick updates across all channels. The detailed demand information and scores ensures our selling strategies work more effectively. On top of that, the excellent support from RateTiger team is what makes it the perfect partnership. We are pleased to join with eRevMax to help hoteliers optimize distribution. Joining Fornova’s Strategic Distribution Management tools with the LIVE OS platform will help hotels leverage the fundamentally dynamic nature of the online marketplace, price their products better, and distribute them more effectively. It’s a great way to optimize the booking path to a hotel’s advantage - and maximize visibility. 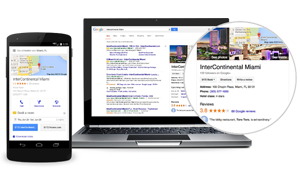 Meta-search engines have become an important marketing channel for hotels. Following this integration, hotel customers can leverage the real-time rate and availability distribution across multiple meta-search sites. Due to the complexities of Bid Management process, a managed service for meta-search channels makes it easier for hotels from a digital marketing perspective based upon a monthly advertising budget. Sequoiasoft is delighted with this new partnership, which will offer an additional choice for channel managers to our customers and prospects. By connecting our PMS Winhôtel and CBP hotels to RTConnect solution, our hotel customers can take advantage of the power of eRevMax’s distribution solutions to market their rooms and increase their visibility on online booking sites. eRevMax’s robust distribution platform has changed the way hotels can cost effectively manage multiple channels online. This partnership with eRevMax will help our clients to significantly reduce time and tools they spent on managing rates and inventories. Mostly bookings happen at the very last minute – a lot of bookings come in closer to the stay dates, booking window is getting shorter. This has changed the way we do business. We now update OTAs daily a sometimes multiple times a day. We are excited to connect our customers to RateTiger’s outstanding hotels while offering them a powerful new distribution channel - one that has an engaged consumer audience looking for great hotels, right up until the last minute.